Langdon Farm is an idylic working farm which as well as rearing cattle and sheep, has two attractive large wild life ponds. Located approx. 2 miles from Saundersfoot and 5 miles from Tenby on the edge of the Pembrokeshire Coast National Park. 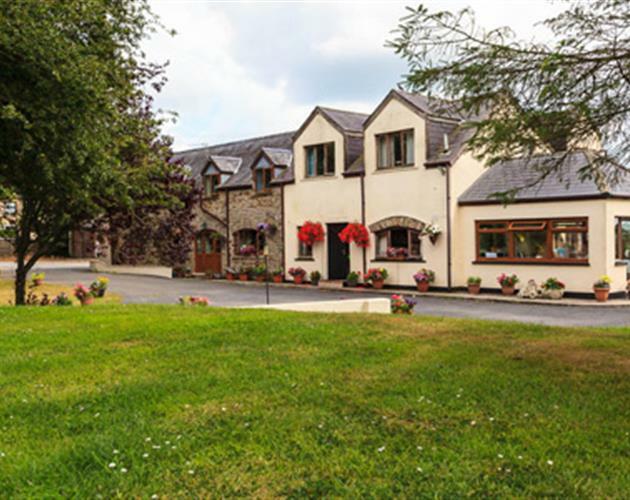 Langdon Farm offers high quality, 4 Star Wales Tourist Board Accommodation. All rooms are en-suite. There is also a large sitting room for the guests to use. Watch the horses lazily grazing and the lambs playing whilst you enjoy your delicious breakfast, made from quality local produce, in the conservatory. Oakwood Leisure Park, Folly Farm, Heatherton Activity Centre and many more attractions are all within a short 10 minute drive whilst many of the beautiful, breathtaking beaches of Pembrokeshire are close by. Spend your holiday sunbathing and swimming on a different beach every day either in the hustle and bustle of Tenby or on one of the many sheltered and quieter beaches to be found and discover why Pembrokeshire is considered to be 'The jewel in the crown'.